You are here: Home > T-Mobile band 12 LTE officially live in Fresno, Calif.
T-Mobile band 12 LTE officially live in Fresno, Calif. 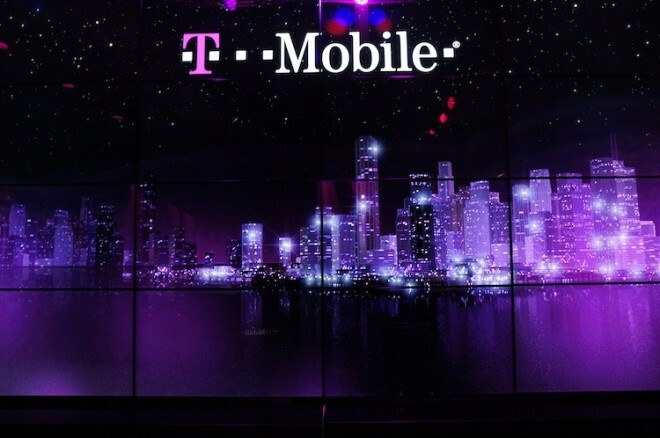 Remember a few days ago when T-Mobile announced that it had launched Extended Range LTE, aka band 12 LTE, in the Miami area? Turns out that that’s not the only place that recently got a helping of tasty 700MHz coverage. T-Mobile’s Extended Range LTE is now live in the Fresno, Calif., area. In addition to Fresno itself, the new T-Mo band 12 LTE coverage reaches Visalia, Clovis, Dinuba, Firebaugh, Helm, Kingsburg, Lemoore, Sanger, Selma, and Tulare. T-Mobile has pushed its Extended Range LTE coverage to 170 major metro areas, and support for the service has been included in several recent flagship phones, including the Galaxy Note 5 and Apple’s iPhone 6s and iPhone 6s Plus. No it won’t. TMO had chance to buy 700A cheap by buying BEFORE aws3 auction. Looks like they’re going to now wait until after 600 auction with the idea that 600 prices will be lower (because no dish to drive it up) resulting in squatters teducing their prices. Dish doesn’t need any more airwaves. Still, I think exactly the opposite. Cable Companies are going to bid on airwaves similar to what Dish has. I live in Cedar Springs, MI (area code 49319). I once roamed on AT&T here at home, however, in the last 3 months, I cannot get a cell signal until I get into Greenville, MI (area code 49544) and when in Greenville, MI, I roam again on AT&T. I have had T-Mobile since 2003 and I use Wi-Fi at home in order to use my cell phone. I have a ZTE ZMAX, my wife has a Samsung Galaxy Avant, and I also have the LG G PAD 8.0. When I search for a network manually with the Avant and LG G Pad, I see an option to connect to AT&T LTE or WCDMA, Verizon LTE, or T-Mobile LTE. I cannot connect to any network, even T-Mobile. I was excited when I saw T-Mobile as a choice in the available networks during a manual search. Does anyone know if T-Mobile is just installing equipment in the area here and will soon light up LTE? I have tried calling support and I get a different answer from rep to rep. It would be nice to finally have T-Mobile native coverage, and LTE, after all these years. Just wondering if anyone knows more than me regarding this subject for this area here on the forums. What do you get when you log into my tmobile and look under your line? Does it show the correct phone? It does show the correct phone for each line. I know the online system sometimes is a little buggy. And sorry, Greenville, MI area code is 48838 and that’s where I roam once again on AT&T (just after the Wal-Mart on M-57. I was just think they need to re-register your phone on their network. Sometimes if it comes up as “unknown device” you might experience that. Totally possible they are playing with the towers though as well. What have they told you about the problem? Jnkown device doesn’t mean anything. Wife’s moo g lte shows up as unknown. Still works. Strange, Cedar Springs, MI does have “Satisfactory” 4G LTE coverage. Greenville, MI is a roaming area for T-Mobile, that explains why you get AT&T’s coverage there. As for why both devices don’t connect on T-Mobile’s coverage is strange. T-Mobile currently uses band 2 (1900Mhz) LTE in Cedar Springs. Both of those devices support it. Not sure why they’re not connecting. Change the network to “choose automatically” not manual. once that’s done. turn off the phone. Take out the sim card, place the sim card back in, turn on the device and see if it connects. T-Mobile also owns band 12 (700Mhz) in that area, but hasn’t put up the antenna’s yet. There’s only been a sighting in Grand Rapids, MI. So in another couple months, Cedar Springs should also get band 12 coverage as well, which will help with your signal indoors. Thank goodness for Wi-Fi Calling. This feature has saved me from leaving T-Mobile when they introduced T-Mobile HotSpot @ Home and the original UMA feature. I did try Technical Support today and they are apparently aware of the issue. Some towers here in Cedar Springs have LTE and some will only connect to GPRS or just voice and text service (despite what the map says). Where I live, the roaming agreement with AT&T ended after their purchase of NPI Wireless here in the area. I guess AT&T was required to keep the same roaming agreements that NPI had for a certain number of years and that contract ended for this area. However, T-Mobile is expanding coverage to this area as quickly as possible to eliminate the coverage gaps where NPI Wireless Roaming agreements are ending (now owned by AT&T). Hopefully something happens soon. I do remember roaming on NPI Wireless for many years here in the upper parts of Michigan. I hope that T-Mobile keeps some of these agreements with AT&T or I fear that coverage in the upper parts of Michigan will only get worse. Yeah, Idaho doesn’t have very good coverage. What zip code? It doesn’t seem like band 12 covers much of Idaho. Yup you’re right, That area has only 2G coverage. and no Band 12 in that area. Looks like the only way you can get coverage is if T-Mobile buys more LTE spectrum that covers that area. does your phone support band 12 LTE? you have to have a band 12 compatible phone. G4 definitely support band 12 i believe. Give them some time to set up and deploy the band properly. Stop being cheap and turn on your wifi… Wait?! Let me guess, you have no Internet at home rite…. Figured.. Who in the world would be crying about not having service at home when the phone works perfectly via wifi… Wait, the only people that would complain are the cheap souls that can’t buy Internet at home or even worse,.. Can’t buy a wifi router… Guys… You only living on this rock called earth for a short time.. How about living a little and invest on a router and home Internet.. Food for thought..
Not everyboy who is a T-Mo Customer or No Home Internet are by choice being cheap. Beleive it or not, there are those who cannot afford to spend the money on Home Broadband or More expensive Cell service. If we were swimming in cash, we would all be Verizon customers and this discussion would be a moot point. WiFi calling doesn’t work well with all phones. I get a call and we cannot hear each other. then sometimes the WiFi calling blocks cell calls when I am not on WiFi. I gave up on it. And yes I do have the TMo router. No speak English ?? English my friend.. All I understood was no ” home Internet “..
Okay….made a error.. But seriously.. Folks can’t just turn on there wifi?? Is it that serious? B12 doesn’t help much on reception in NYC. ugh actually it does. instead of 0-2 bars jumping up and down rapidly and sometimes total losing signal i now have 3 to 4 bars stable where i live. I would use wi-fi calling exclusively because the phone wasn’t totally reliable in my place. Now its great. it is not officially launched, meaning the rollout is not 100% complete yet in NYC. I think end of 2015 is a safe bet. Still waiting for it here in Sacramento, But not keeping my hopes up for it happening soon. Ive noticed most towers here are lacking the 700mhz equipment. I by no means am an expert of determining if a tower is or isn’t 700mhz capable, but I notice all the towers in sac have the ericsson air panels, but lack the 700mhz panel. Still waiting for it in Hawaii. Most of the trolls that complain aren’t even T-Mobile Customers. Band 12 works fantastic, I know it does. Anyone who says it doesn’t isn’t using a device that supports Band 12 or isn’t in a Band 12 area. T-Mobile is updating and installing more LTE faster than any Carrier has ever done. It was just 2 yrs ago T-Mobile only had HSPA+, it was fast but not LTE. In another 6-9 months T-Mobile will be everywhere. It has to be. I just can’t believe most of these stories. People claiming they’ve been with Tmo for a long time but they have terrible coverage claiming they also have the latest high end phone that support band 12. That doesn’t even make sense. If you are on this sight asking reading about band 12, you should know this already. So they either didn’t read and get straight to complaining or they are pretending to be a tmo customer and make false statements. I didn’t think anybody would be a fanboy to any specific carrier because it’s an absurd idea, but I was proven wrong and there are plenty around. I travel up and down the East Coast quite a bit with my iPhone 6. It’s not even band 12 and it seems to work in more places than these people whining about their band 12 phone getting poor or no coverage. Which brings us back to the same question. Why did you continue to be with tmo and buy the expensive high end phones year after year when you have spotty coverage? Makes no sense. I agree with you. I know the area around Lowell, MA has 12 band, because I can use it on my Nexus 6 and it’s pretty fast. Well, the market changed. AT&T sold its towers to Crown Castle. Sprint and Verizon are with AmericanTower. Crown Castle is the same company T-Mobile sold its antennas to. It’s a lot easier for a company today to just add an antenna to an existing structure than get all the permits, and go to city planning meetings, negotiate a new lease payment, get Homeowners Association sign-off. It’s usually a year-long process to get everything right. And at any moment, if someone says “no”, they have to start over from square one. Don’t trust the signal it shows on the phone whether it’s 4G LTE or Gaps 4G. It is not always true signal strength. Use a third party app like LTE discovery or something similar. My phone always shows 4G LTE but very slow speeds and when I check LTE discovery app it’s got like 1 bar which is more on our with speeds. I usually just switch to Hspa or Wi-Fi at home. I live in Fort Lauderdale and I think the network engineers need to fine tune the parameters quite a bit. In my experience my s6 tends to latch onto band 12 more often than it should. Even if band 4 reception is weaker it should always be prioritized because its bandwidth is 4 times that of band 12. In my experience band 12 is already saturated in this area, especially the uplink which results in poorer performance. It’s only going to get worse now that all the apple fanboys are upgrading to the new iphones which support band 12! I actually disable band 12 most of the time unless I’m in the gym where it is a godsend. My biggest Tmobile fear in nyc when totally lit up! I just hope it’s just a matter of fine tuning and can be solved easily. Also carrier aggregation doesn’t seem to be helping much. That problem will go away as soon as they aggregate the AWS LTE with the 700mhz LTE in your area. They already have in some cities. Certainly. In some places where Band 12 (700mhz) was recently launched, it hasn’t been aggregated with the AWS LTE. That means its not connected to the same data pipe. Once the two bands are aggregated band 12 compatible phones will be able to work off of AWS and 700mhz at the same time. Both bands will be connected to the same data pipe. This will provide a boost in capacity which is really good too. For example, I have a friend (who is a huge T-Mo fan) in LA and T-Mobile has already aggregated there. He did a speedtest by a tower with his iphone 6 and got 65mbps, but then he did it with his band 12 compatible phone and got near 100mbps on the same cell site. Those kinds of speeds are normal for an unloaded site (very few users). Problem is that T-Mobile is advertising the cellular frequencies as “4 times better indoor coverage” and “2 times the coverage”. These are definitely big benefits to use Cellular frequencies, similar to what AT&T and Verizon have been using since 1980s. You keep using cellular frequencies as some term. I think what youre trying to say is sub 1 ghz spectrum. And no, ATT and Verizon have not been using lower 700 block cell spectrum since the 80s. They were using 850 and 1900. 700 is new from the auction last decade. And by the way yeah it propogates well but its throughput and capacity is limited which is why you see Verizon buttressing it with AWS. AWS in the quantities Tmo has is like golden spectrum for mobile internet, which is basically wireless today. Aggregated with 700 for range, Tmo has an enviable spectrum position. I picked up (according to an LTE Discovery app) Band 12 in Fresno about 4-6 weeks ago. When last there over this past weekend, wasn’t connected to Band 12 – but didn’t have much time to play. One thing that surprised me was there were no signal areas on the fringes of Fresno on that 6 week ago visit. Fresno is flat as a pancake. This was in a car w. someone else driving. Band 12 has been available in Fresno for a few months now already. Drinking game: Let’s take a shot every time somebody mentions “Band 12” on here or on r/tmobile. Band 12 just hit Port Orchard, Washington yesterday. It was a great surprise.